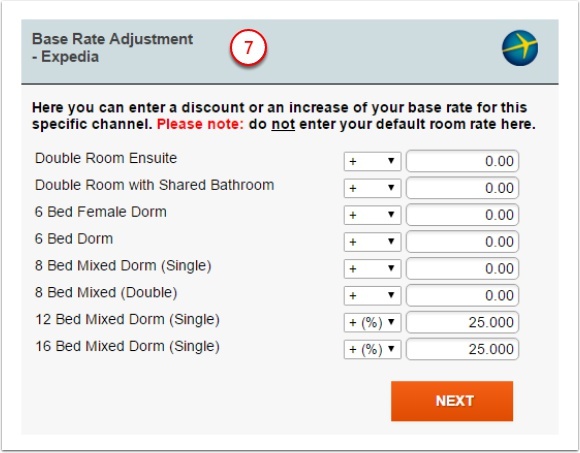 This article will show how to setup Expedia to connect with myallocator. 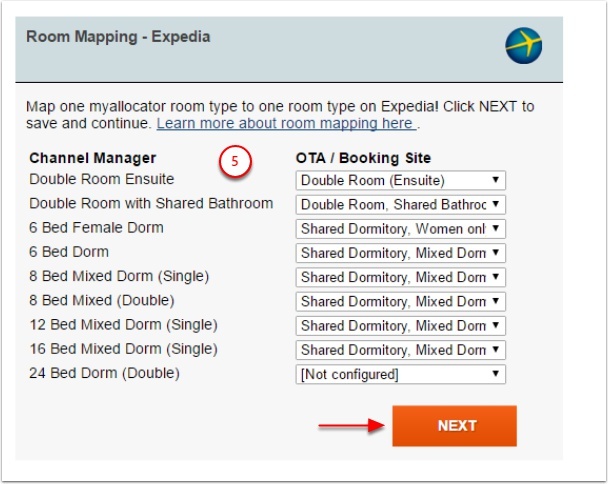 Under the Setup section, click "Expedia Connectivity Settings"
As soon as the connection is complete on both sides (Expedia and myallocator) we will send an email notifying you to map the rooms. 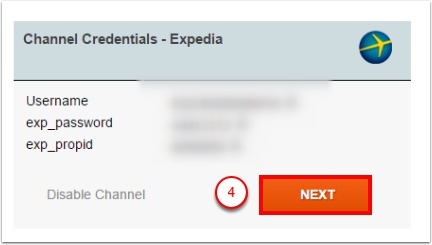 If you're not seeing Expedia status as 'ready for mapping', it means that the connection is not ready yet. 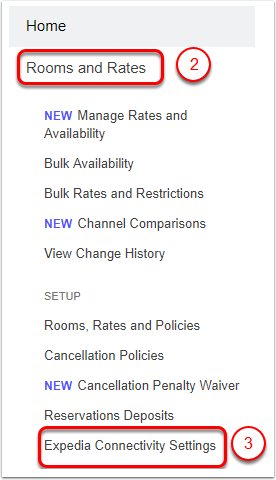 It's strongly advised to send a full refresh now to make sure that availability and rates are fully updated on the channel. 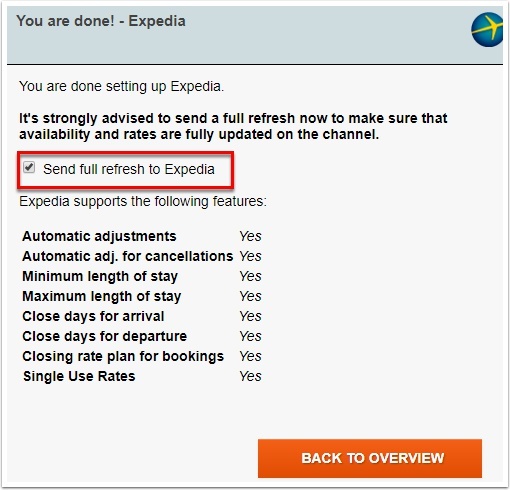 Please, keep marked the checkbox 'Send full refresh to Expedia'. 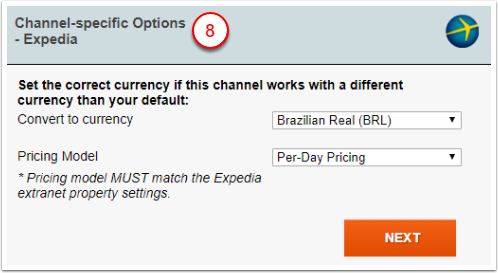 After Connecting to a Channel Manager, does Expedia send original guest email to the property? "No, we do not currently send the information to the partner as our policies for transmitting this information are now in line with General Data Protection Regulations (GDPR)"
If the original email is not sent, does Expedia send emails generated by channel's domain? "The information is not currently transmitted on all bookings at this time. This is in the works, but we do not have an expected time frame when this will be completed." Why I'm not receiving any type of guest email contacts? 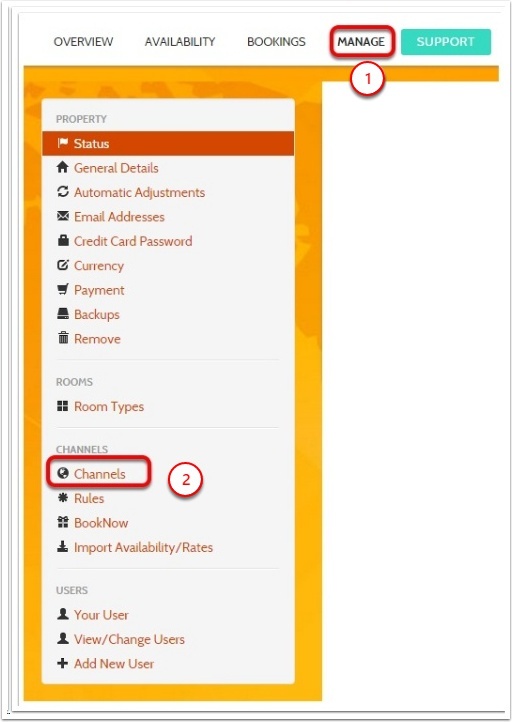 "A temporary system email address is accessible in Partner Central and the partner is informed via email currently when a booking takes place. 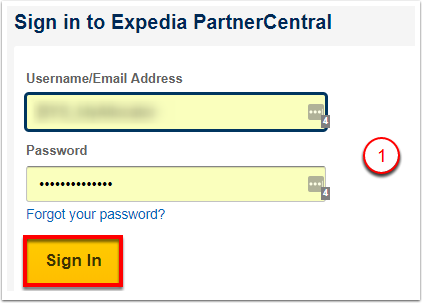 The partner can use the email address information in Partner Central or use the email address information available there."